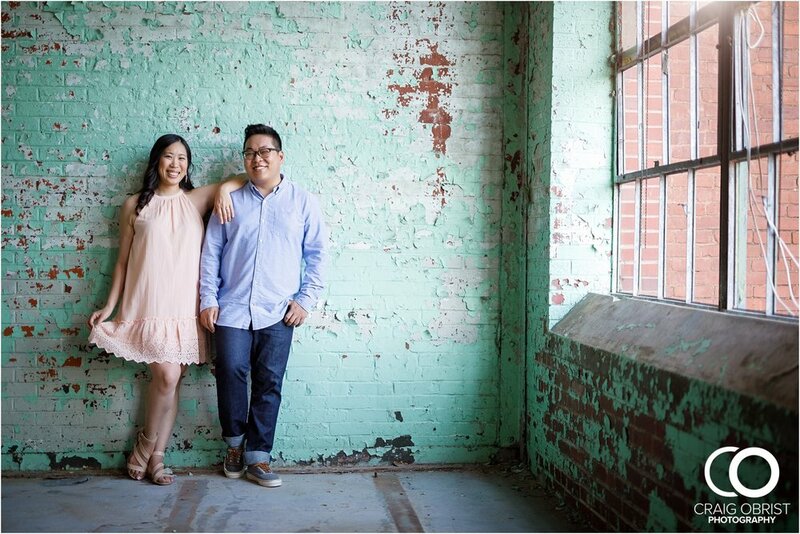 How do we know Christine + Eugene, you ask? She's the sister of a friend of a friend of a brother and sister's husband. LOL Just kidding... but really, she's my friend's sister-in-law. :) Our friend referred Christine to us, and it meant so much... Getting new clients through a referral is still the most fulfilling way of growing our business. For someone to tell others about us in a good way just really warms our heart and the gratitude we receive from that is priceless. So, Wanda, if you are reading this, THANK YOU once again! 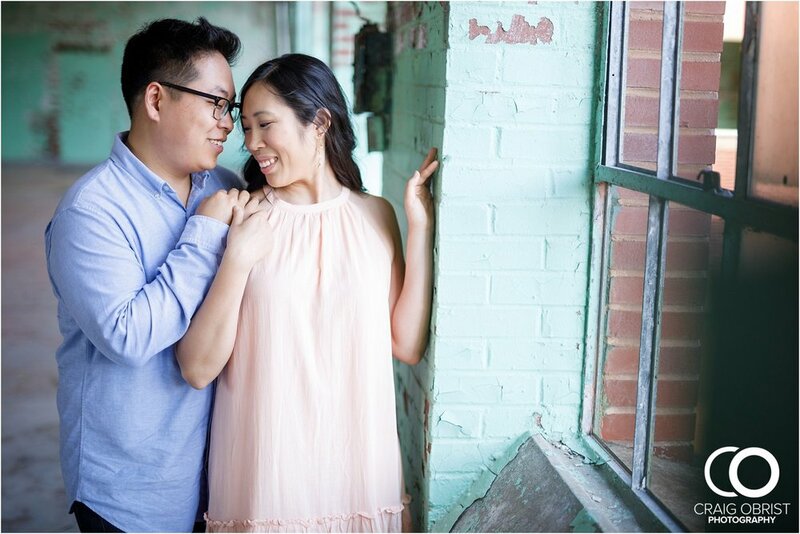 Christine + Eugene wanted something unique and special for their engagement shoot. You see, these two love to travel.... like.... a LOT! They're much younger than I am, but wow, they have been to more places in this world than I think I ever will. I asked them to name the places that they have been to, and I don't think I could even locate half of them on a map. LOL I love it when especially young couples invest time and money to travel. I think traveling does something good for the soul that nothing else can. It's very healthy to discover the big, beautiful world that God created. Well, when they told me that they wanted a location that was unique, it was perfect timing because I just heard about this new place! I showed them a few pics of the location and they were in! 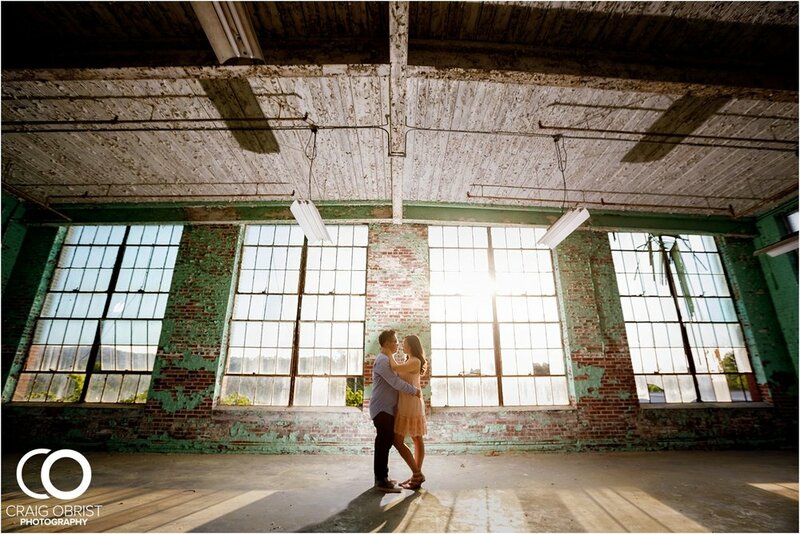 They were willing to take the longer drive to this old factory, so we were stoked! Planning this day was fun, but you know.... sometimes things don't go according to plan. 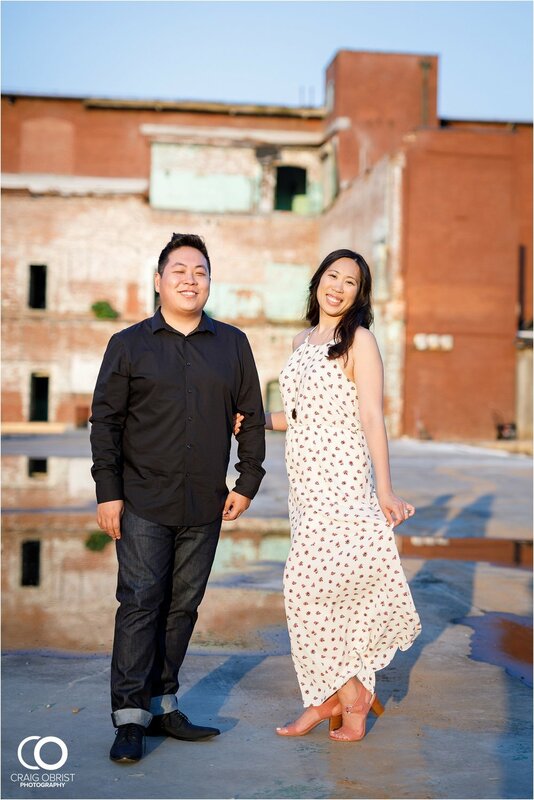 Weather was not willing to cooperate the first time we set their e-session date. We rescheduled and even the second time, the forecast was calling for rain AGAIN! But this time, we were all willing to go there and take the risk. Because this place still has a lot of indoor areas, we knew that we could make it happen, and rain could make it even cooler! When we got there, it was HOT and SUNNY! There was not one rain drop in sight! We kept checking the weather and nope, no rain.... not at all. The forecast from even the morning of was totally off, and the sun was not even thinking about leaving us. It was actually really hot! The temps weren't supposed to be that high, but it was and boy did I regret wearing jeans or what! Craig and I kept sweating nonstop so badly, so I felt like Christine and Eugene thought that we were naaaaaaaasty! LOL We kept telling them, "Oh my gosh... we usually don't sweat this much... so sorry!" But no... this couple is super sweet and we really had a great time walking around this place together. We had to get a bit 'adventurous' in some areas, and we even saw a 7ft king snake, but yeah... let's not even talk about that and leave it out of the story. 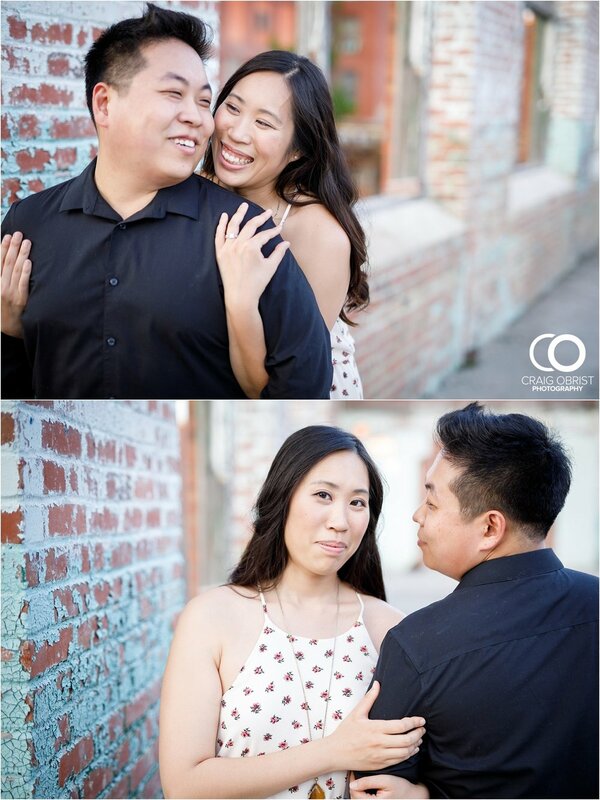 They were willing to do anything and for that, we thank you, Christine + Eugene! They brought a friend too, and we called her the "Moh" because you know.... she's the maid of honor. :) That's a wedding joke for those you who didn't get it. hehe She was so helpful! At the end, we had a grand finale with something Craig really wanted to do at this place. He wanted to play with some FIYAH and it was awesome! 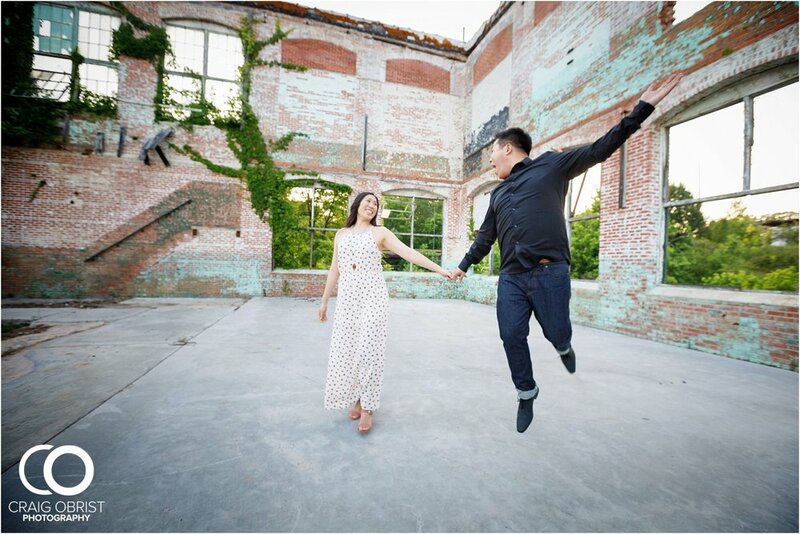 We went to Home Depot a few days before this shoot to buy some things that we don't normally prepare for an engagement shoot. I had no clue what he was purchasing until he started using them at the shoot. By this time of the evening, mosquitos were everywhere, so he had to finish the fire shot really fast. There was a lot of back and forth and running around creating fire in different parts to get the epic shot! 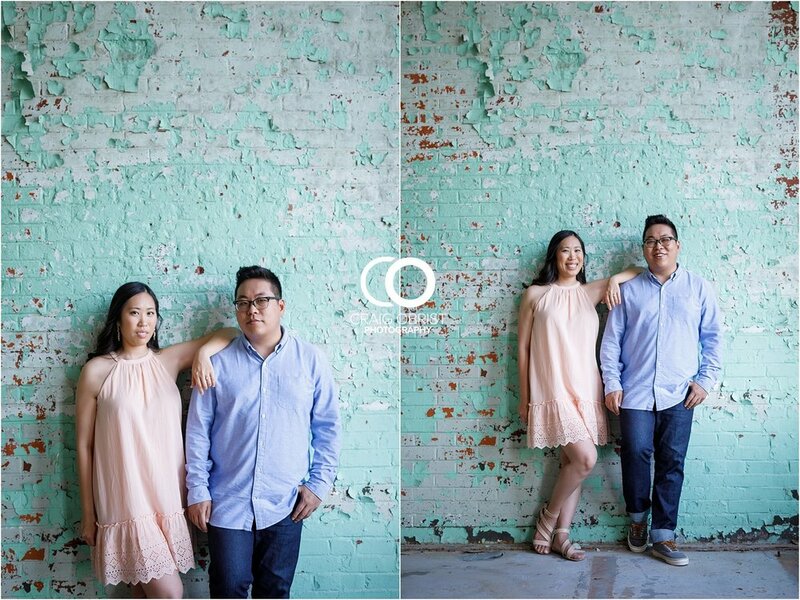 Christine + Eugene, it was such a joy to finally meet you both and getting to know you. You guys were troopers! 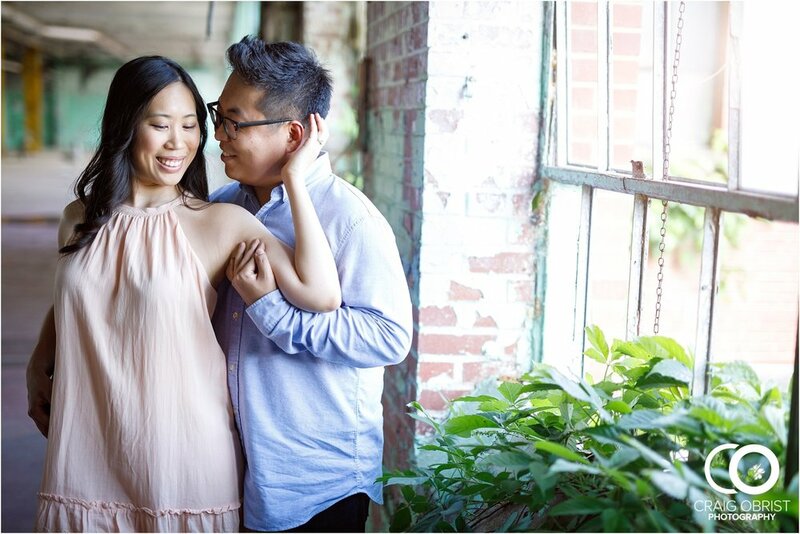 We look forward to celebrating you on your wedding day only in a couple of months! Have a wonderful summer and see you soon!